Both Evelyn and James are little food monsters now but I still remember the weaning stage with the both, so when I was recently asked by HiPP to share my weaning memories I was excited to recall my memories. Weaning with both James and Evelyn could be described in one word and that is "Messy" but it was also an enjoyable time. We went with the motto of "Food is fun until their 1" and tried to approach weaning in a fun and relaxed manor which seemed to work for us all. With James we used more purees and blended foods which went well but it did take a little longer for us to then transition on to more solid foods. 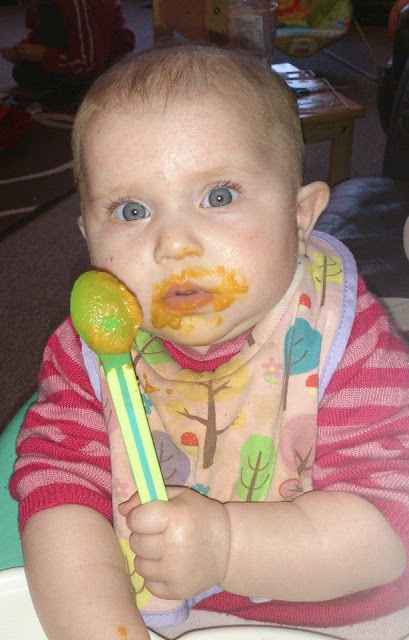 When Evelyn came along I opted to do the baby led weaning route and we started on solid foods such as scrambled egg and soft bits of carrot, banana and she loved toast fingers. Weaning was one of this big milestones that makes lots of mums nervous as before this baby has been getting all of their nourishment for milk be that breast or formula. Now suddenly it is down to us to provide some of that nourishment through food. A lot of the purees you can purchase come with added vitamins and minerals which did put my mind at ease a little with James. 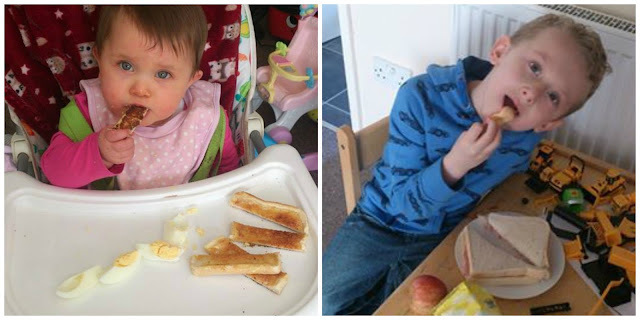 With Evelyn we were doing BLW which often left me worried that she wasn't getting all the vitamins, minerals and nutrients her body perhaps required as she would often leave food or only try little bits of what I gave her. That was when I discovered follow on milk! Follow on milks are designed to complement the weaning diet while your baby is getting used to a variety of different tastes and textures. They are higher in iron and vitamin D than standard infant formulas which can really be a help if baby is not eating many iron-containing foods and is therefore at greater risk of iron deficiency, and to help protect baby against becoming vitamin D deficient. As a mum myself I often look for the advice and guidance of other mums and 10/10 mums who tried HiPP organic follow on milk with their babies said they seemed happier which is extremely encouraging. 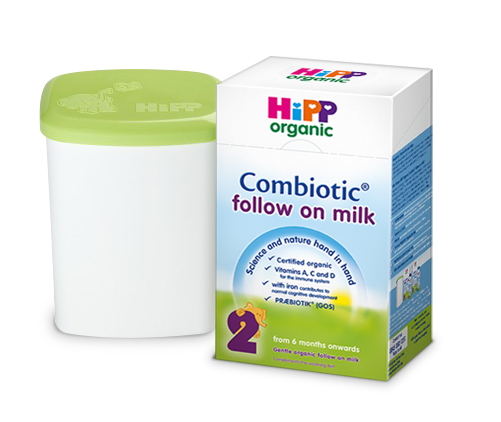 If you are about to start weaning or want to give HiPP organic follow on milk a try for yourself why not enter our giveaway below to win a HiPP organic follow on milk hamper! The hamper will include a tin of HiPP follow on milk, a storage tin with handy scoop and scoop leveler to ensure you are getting the correct measurements, a selection of weaning food goodies 6m+ and a cuddly toy for baby! This giveaway is open to UK residents only. All entries will be verified and any entries seen to be false or incomplete will be disqualified. Prize will be sent from company/pr directly and I cannot take responsibility for the arrival of this prize. ** this post was written in collaboration with HiPP organic. Just started weaning my 6 month old she's loving food! He loved it and ate everything! We carried on using the same milk and then switched to cows without any issue. It's a long time since I weaned my first child, I remember being very nervous but now I'm a grandmother I enjoy helping with weaning! We enjoyed weaning at first, but my youngest is very fussy at the mo!! My son is 4 months old, will be thinking about weening soon, with my others i cooked and puree'd foods and put them in ice cube trays in the freezer. I have used normal baby weaning with all 6 of mine. my kids were weaned and i did use follow on milk. My little one has started weaning been doing a mic of spoon feeding and baby led she wants to eat everything! We started weaning a couple of weeks ago and it's going fine! A lot of mess, though! Just started weaning and finding it hard going. We've just started weaning, it's hard. Both my oldest sons started on purses and then moved onto slightly thicker textures etc. My 7 month old doesn't really like puréed food but prefers whole foods in a mesh feeder. We are currently using a follow on milk, just so that I know he is getting all the nutrients he needs. I usually make puréed food and freeze it. I hated weaning my twins. I felt really overwhelmed and they have both always been really fussy. I have another baby now and thinking about trying her with baby led weaning. I remember making a lot of apple puree and lots of mess!